Living Liturgy is the indispensable resource that supports parish ministers of all types in preparing well for the celebration of Mass for Sundays, solemnities, and select other days, so that celebrating the liturgy and living a liturgical spirituality go hand-in-hand. Written by a pastorally experienced team with expertise in Scripture, spiritual direction, liturgy, and liturgical music, Living LiturgyTM integrates daily living, prayer and study. 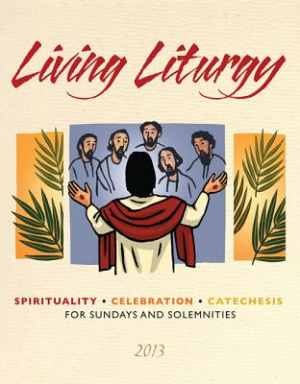 Living Liturgy by Christopher W. Conlon; Joyce Ann Zimmerman; Kathleen Harmon was published by Liturgical Press in July 2012. The ISBN for Living Liturgy is 9780814633892. Be the first to review Living Liturgy! Got a question? No problem! Just click here to ask us about Living Liturgy.